Remember the Steam Dev Days, the event held by Steam and aimed strictly to developers? 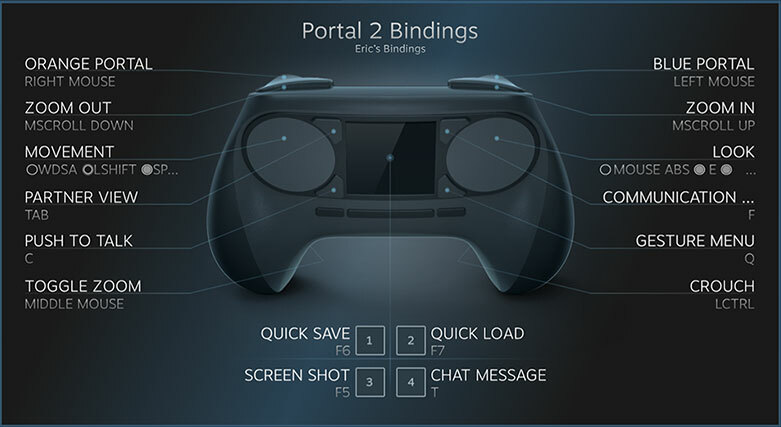 Among other things, it was used for announcing changes to the upcoming exclusive hardware and for showing Steam’s global reach. 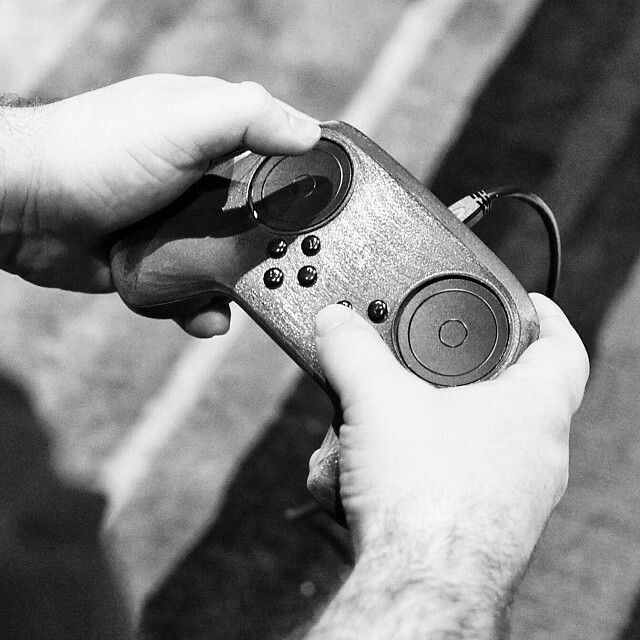 The only way to have the first-hand experience with Steam’s secrets was to be invited to their Seattle HQ. Luckily for the rest of us, now all the talks are available through a massive YouTube playlist. During the last years the industry has had a pre-order fever, with many games offering exclusive content for players who purchased the game before its release (and before the reviews appeared). That bonus material can take many forms: a multiplayer upgrade, extra challenges, an additional piece of story or simply new skins (the worst kind, in my opinion). Today you can pre-order games that don’t even exist! However, sometimes a fan pre-orders a game just to regret later. It could happen for many reasons: the game previews look terrible, the anxiety goes away or the promised bonus content is modified, for example. As pre-orders are becoming a trend among publishers, also is asking for a refund among consumers. In response to that, now Steam lets you get a refund on your pre-order smoothly, without the need of opening a support ticket with Valve. 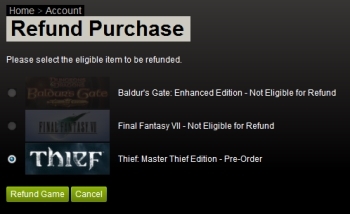 The refund puts the money back in your Steam Wallet, so you can make the same mistake with another game. Its competitor GOG’s refund policy, in turn, extends to 14 days after getting the game in case you just changed your mind and to 30 for technical issues. In my case, I only pre-order a game when it comes with extraordinary additional content, as when buying The Bureau: XCOM Declassified in Steam got me all the previous XCOM installments, along with Spec Ops: The Line. As a matter of fact, I ended up playing more the other games than The Bureau… A considerable price discount can also help. Perhaps it’s time to stop purchasing dull pre-orders, or to listen to those who advocate for abandoning them once and for all. Will they follow the same path as online passes? As we all know, Steam (Valve’s colossal digital store), is a couple of sales away to take full control of the world. In the meantime, we can take a look at how it’s doing right now, thanks to the data Valve has shared during its Steam Dev Days. 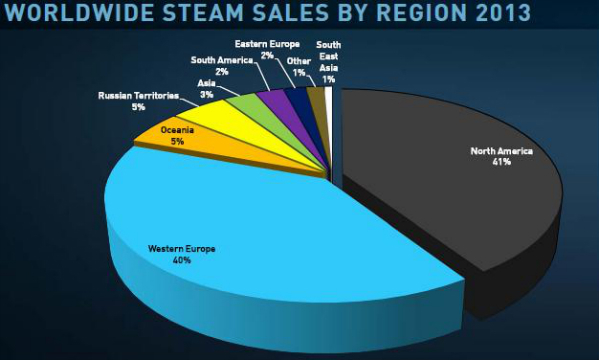 Europe and North America still dominate the market when it comes to buying PC games digitally, accounting for a combined 81 percent (40 and 41 percent, respectively) of Steam’s global revenue. However, Russia and Brazil are far and away the fastest-growing markets for Steam software sales, with year-over-year growth rates of 128 percent and 75 percent (respectively). 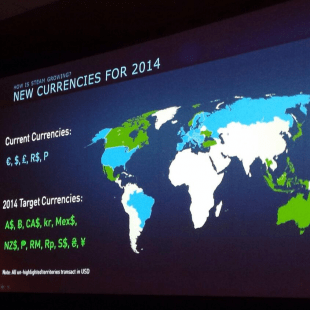 That global expansion growth explains that Steam will expand its current 5 currency options (U.S. dollars, British pounds, Russian rubles, Brazilian reais and euros) to 17, adding Australia, New Zealand, Indonesia, The Phillipines, Malaysia, Thailand, Japan, Mexico, Canada, Turkey, Ukraine and Norway to its portfolio. Oh, and on a sidenote, Steam currently has 75 million active users, 10 million more than in last October. That’s… something.